AAC Genie Evaluation: eliminating the guess work! Hey Tel-Ninjas! I have been working with a remarkable app for the past yeaer+, and I want to share it with you. If you are new to AAC evaluations, or a veteran, this app may really help you understand and document your student's needs. 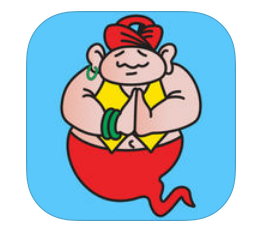 The AAC Evaluation Genie app is designed for your iPad, and IMHO is more expository than diagnostic. The app won't tell you which device to use/buy, but it will guide you in making an optimum setup for whatever intervention you go with. The AAC Evaluation Genie sells for $11.99. There are 14 subtests which can be administered with multiple settings to get to the information you need. This activity evaluates the user’s ability to visually track and identify a single icon from 5" to 1" in size. This activity evaluates the user’s ability to visually track and discriminate a single icon from 5" to 1" in size. This activity evaluates the user’s ability to identify common noun vocabulary. This activity evaluates the user’s ability to identify common noun vocabulary by stated function. This activity evaluates the user’s ability to identify common verb (action word) vocabulary. This activity evaluates the user’s ability to identify common noun vocabulary by category group inclusion. This activity evaluates the user’s ability to identify a noun by associated feature or function. This activity evaluates the user’s ability to identify common noun vocabulary by category inclusion. This activity evaluates the user’s ability to identify common noun vocabulary by category exclusion. This activity evaluates the recognition and identification of common core vocabulary words not easily represented with pictures using Pixon® symbols. This activity evaluates the identification of common core vocabulary words not easily represented with pictures using Minspeak Unity® symbols. This activity evaluates the identification of vocabulary organized by Minspeak Unity® semantic / linguistic patterns. This activity evaluates the user’s ability to describe basic pictures using a simulated AAC display. This activity evaluates the user’s ability to read text and select a target word from a list of four choices. Hey Tek-Ninjas! A while back I wrote with great enthusiasm about a shared platform called Pogo Boards. Over the summer I was working to get our school district signed up, but alas I could not get a hold of the folks at the company. That should have been a red flag, but, admittedly my summers are my own, and I don't work much. In August I finally got a phone call from one of the company owners who regretfully informed me that they were closing their doors due to a host of unfortunate issues. I was so glad that I'd not actually sent them money, as they may not have been in a position to refund! So, I spent several days frantically looking for a viable replacement option. I needed access to symbol software which works across platforms (Chrome, Windows, and Mac), it needed to be intuitive, robust, and affordable. Boardmaker nails the first two criteria, but for our district, the price was higher than my director would support. 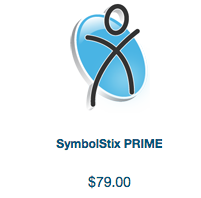 Enter Symbol Stix Prime from the good folks at News2You. SymbolStix PRIME is a web-based symbol search engine and materials creation platform. 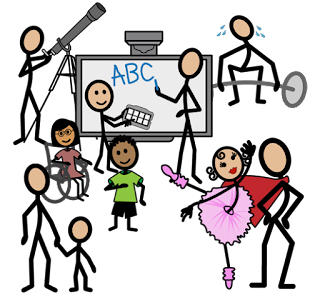 It is designed and developed by n2y, SymbolStix PRIME includes depictions of people, events, and activities with personally relevant stick figures appropriate for all ages. The shared platform allows users to create symbol-based language and learning materials for printing or speaking aloud online. There are over 30,000 symbols in the library and 500 new symbols added each month! I have been very pleased with Symbol Stix Prime. You can give it a test run with a free 30 day trial. Individual pricing is $79 annually. With higher numbers, you can earn a discount. Users can log into their account on any computer platform from any location. If you are looking for symbol support, I recommend you take a close look at this offering from News 2 You! Greetings Tek-Ninjas! Hope you are surviving the election well enough. I wanted to share with you all a Google extension which I stumbled upon recently. The extension is called Project Naptha. Project Naptha is a screen reader, which works in your Chrome Browser, regardless of computer platform. It is unique for two reasons. 2. It is designed to convert any text image into digital text with an OCR converter, thus allowing your native screen reader to read the text to you. I've found it to be immensely useful, however, the quality of the image does have a direct impact on how well the image inverts to text.